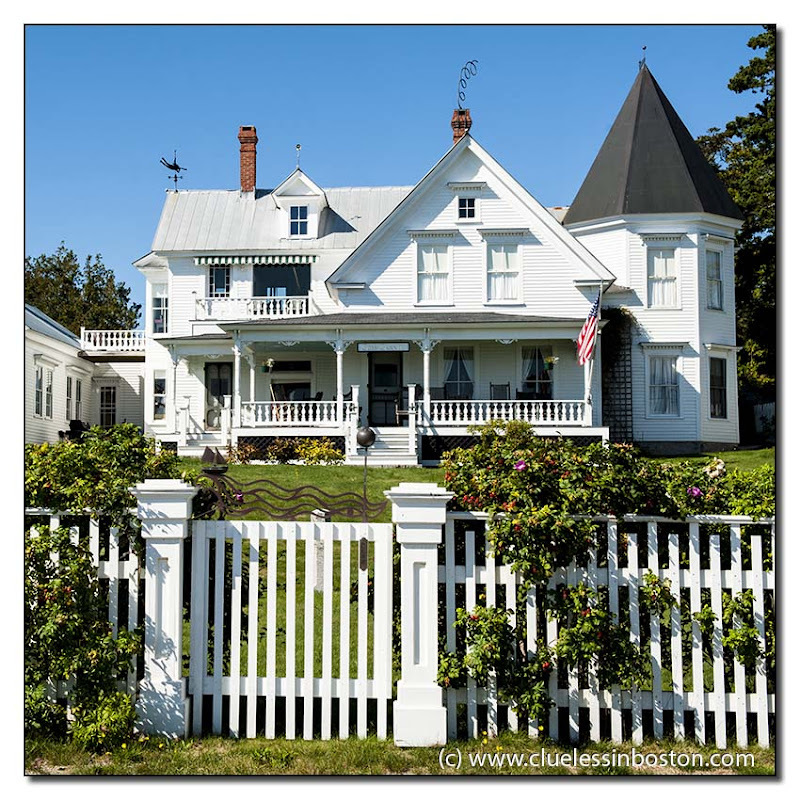 This week's doorway is actually a great looking house in Stonington, Maine. The gate is pretty fabulous too. I Would love to sit out on that front porch and drink coffee. Beautiful old house. Wonderful picture, the door is beautiful and I like the fence as well! Isn't this one a classic!